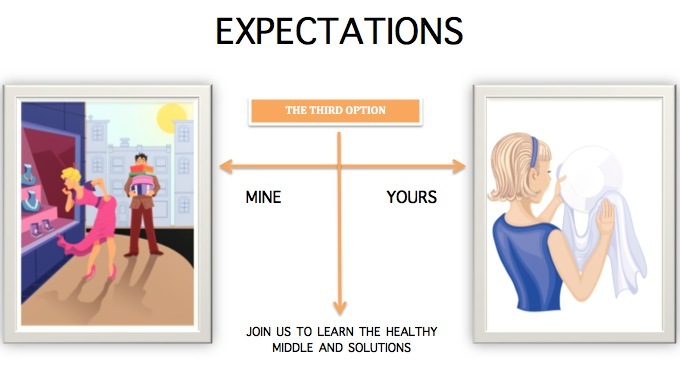 The goal of this workshop is to show the role that expectations have in a relationship, and help group members become aware of their own expectations: what they are, how realistic they are, where they came from, and whether or not their spouse shares the same ones. Often our expectations on a subject are very different than our partner’s expectations. How could I register for class? Hi Rey, there’s no need to register ahead for the Third Option class. You just show up! And since the class continually cycles through the 14 topics, it’s fine to start coming at any time – there are no starting or ending dates. Also, there is free childcare provided (in case you need that). Look forward to seeing you at the Third Option.